The U.S. has long had the highest rate of maternal fatalities during childbirth of any country in the developed world. STOP. Read that again. We are inundated with so many statistics these days that we lose sight of which ones matter. This one matters. This is insane. The rate of maternal injuries and deaths during childbirth in U.S. hospitals has been steadily increasing over the decade. 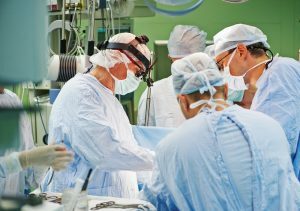 For their part, hospitals have insisted that this increase was largely out of their control and not a reflection of any declining quality of care. Hospital advocates suggest that poverty rates and an increase in pre-existing maternal health conditions are to blame for these morbidity rates. A recent study identified several specific conditions during pregnancy that appear to increase a baby’s chances of suffering hypoxic-ischemic encephalopathy (HIE) which is a very serious type of childbirth brain injury. This research helps advance our understanding of HIE’s causes, which will allow improvements in prevention and treatment. This is what we have to work towards — getting the science and the medicine better so we have less oxygen-deprived children during the birthing process. Hypoxic-ischemic encephalopathy (HIE), is a type of brain injury resulting from a lack of oxygen and blood flow to the baby’s brain. It can lead to seizures, difficulty feeding, low muscle tone, organ dysfunction, and breathing difficulties. HIE may result in long-term neurologic disabilities such as cerebral palsy, intraventricular hemorrhages, and learning disabilities. A Michigan midwife is accused of negligence for the death of a newborn. A malpractice attorney plans to file a lawsuit against the midwife. The case pertains to a baby born on February 8, 2018. He died three days later. The cause of death was allegedly brain injuries resulting from a delivery gone wrong at home. The attorney described the midwife as “stubborn” and “incompetent.” He also argued that the woman had no nursing or medical credentials and that the mother should have been transferred to a hospital. Instead of being transferred, the baby suffered brain injuries as a result of the botched delivery and died after three days. The attorney also noted that the baby was healthy, but that the delivery resulted in complications. The certified midwife delivered the baby at home in the frank breech position. This position involves the baby’s buttocks facing the birth canal and its legs positioned straight up in front of its body. The feet are positioned closer to the head. 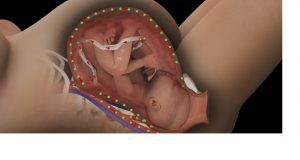 Normally, a baby moves into the delivery position a few weeks prior to birth. However, in this case, the baby failed to do so. While babies born in this position may be healthy, there can be an increased risk for birth injuries than in normal births. Since cerebral palsy (CP) is associated with children, much of the data consists of infants and young children. There is little information on difficulties that adults with cerebral palsy face as they get older. However, a recent study fills in this lack of data. Published in JAMA Neurology, it concluded that adults with cerebral palsy are more likely to be diagnosed with depression and anxiety. Conducted by British, American, and Irish researchers, they utilized data from the United Kingdom’s Clinic Practice Research Datalink primary care database. Their data spans the years 1987 to 2015. They examined 1,705 adults, ages 18 to 99, with cerebral palsy who were also diagnosed with depression and anxiety. Each adult was compared to three adults without CP. These individuals were chosen for having the same age, gender, and primary care practice as adults with CP. The data covers about 7% of the country’s population. It consists of clinical events, prescriptions, referrals, and hospital admissions. 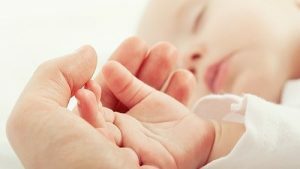 A team of researchers at University College London has developed a device known as a broadband near-infrared spectroscopy (NIRS) that uses light to detect brain damage in infants. They are now planning a clinical trial of the NIRS. Near-infrared spectroscopy (NIRS) is a spectroscopic method that uses the near-infrared region of the electromagnetic spectrum. There are many different applications of NIRS which include astronomical spectroscopy, agricultural, pharmaceutical, and neonatal research. The potentially dramatic impact of a stroke on your health and wellness cannot be understated. What many people don’t know is that strokes arise from several possible conditions, including brain ischemia (commonly referred to as cerebral or cerebrovascular ischemia). If you or a loved one has suffered ischemic brain injury because of a doctor’s negligence, you may be entitled to compensation. Contact Miller & Zois at 800-553-8082 or get a free online consultation. As a parent, you don’t want to hear that there’s a problem with your soon to be son or daughter. Or that a life-changing complication was discovered in the hours after their birth. An infection during pregnancy can have devastating consequences for you and your child. If untreated, maternal infection can result in a permanent birth injury or even death. These are illnesses that affect both mother and fetus during pregnancy. While some common maternal infections, (such as flu or a cold) will very little impact on a pregnancy, there are a few that can result in serious health complications. This is a guest post from Jonathan Rosenfeld, a medical malpractice attorney in Chicago, IL. Jonathan is the founder of Rosenfeld Injury Lawyers. I appreciate his contribution to this blog. The topic Jonathan attacks today is an important one: how to help cerebral palsy patients get the best possible outcomes. There is no doubt that many cerebral palsy (CP) patients face many obstacles. But there is some relatively low hanging fruit to improve patients outcomes: good nutrition. Because of their condition, patients can be malnourished even when though they are fed regularly with what may seem like a healthy diet for the average person.